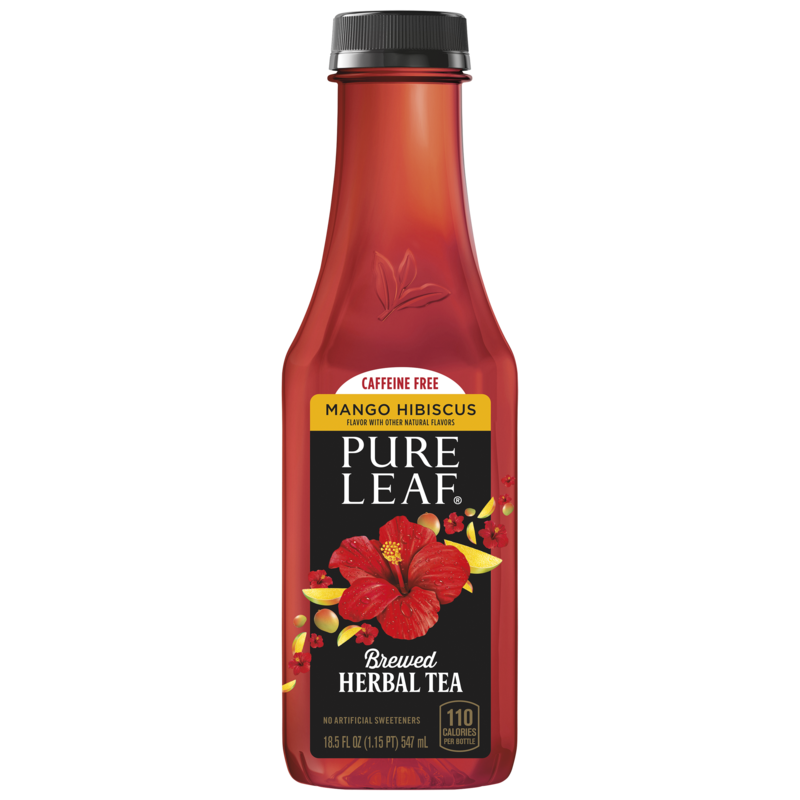 Enjoy Pure Leaf any time of the day with herbal tea brewed from naturally caffeine free Hibiscus. The delicate hibiscus is perfectly complemented by the refreshing flavor of Mango to bring you an herbal tea that is literally Blooming with Flavor. 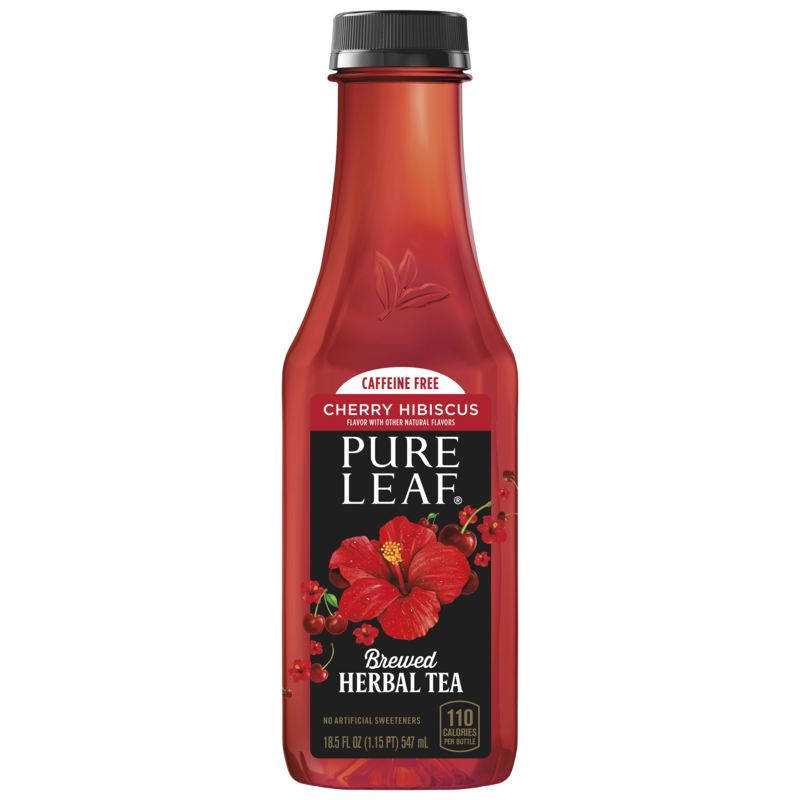 Enjoy Pure Leaf any time of the day with herbal tea brewed from naturally caffeine free Hibiscus. The delicate hibiscus is perfectly complemented by the refreshing flavor of Peach to bring you an herbal tea that is literally Blooming with Flavor. Enjoy Pure Leaf any time of the day with herbal tea brewed from naturally caffeine free Hibiscus. The delicate hibiscus is perfectly complemented by the refreshing flavor of Cherry to bring you an herbal tea that is literally Blooming with Flavor. Taste iced tea the way it was meant to be: brewed from real tea leaves steeped in water and bottled without adding sugar or color. All so you can enjoy the delicious fresh-brewed taste. A classic deserves respect, so we paid extra attention to get our Sweet Tea just right. Starting from fresh-picked leaves and sweetened with real sugar for a delicious fresh-brewed taste. The deliciously tart flavor of lemon is the perfect companion for fresh-brewed tea. 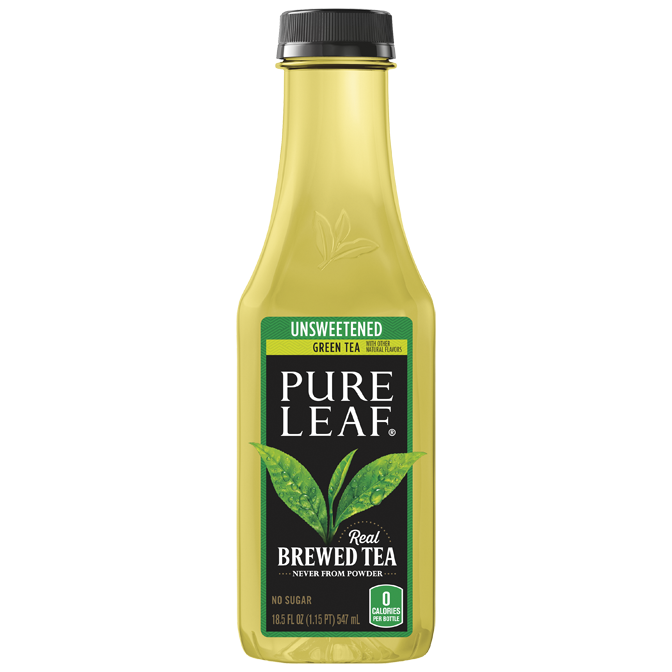 Authentically brewed using real tea leaves and water, for an iced tea that’s, well, exactly how you’d make it. Sip on the crisp, clean taste of green tea. 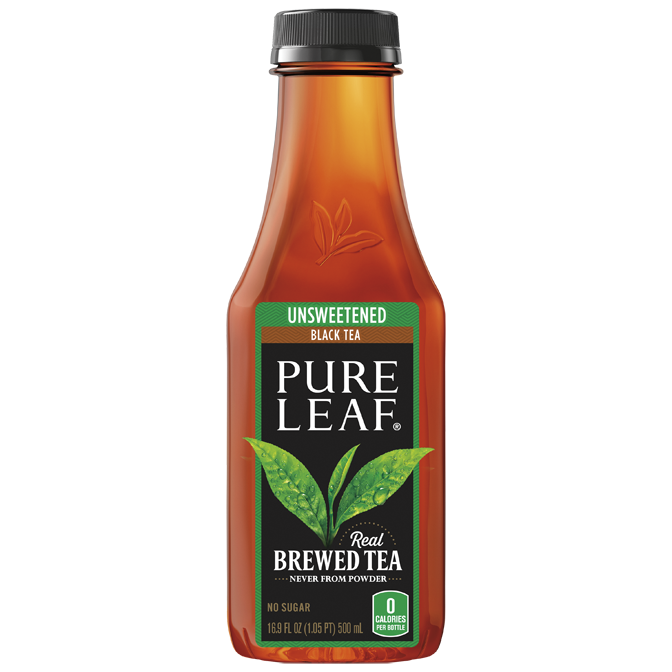 Brewed using real leaves fresh-picked and bottled without adding sugar or color. It’s a light, refreshing flavor, brewed like how you would at home. Raspberry, with its balance of sweet and tangy flavor, perfectly complements our classic iced tea. Always brewed using real tea leaves and sweetened with real sugar, it’s raspberry flavored iced just the way you like it. Luscious and sweet. Two words that best describe the flavor of peach in our iced tea. 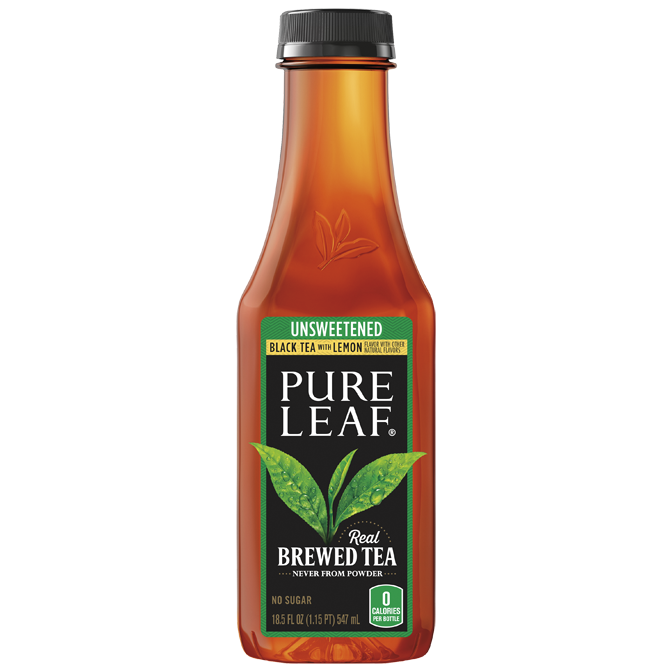 Drink in the deliciousness of real-leaf brewed tea, sweetened with real sugar. An iced tea that stays true to its roots? It’s easy when you use fresh-picked tea leaves and complement them with the sweet flavor of pomegranate. Get refreshed without the compromise. 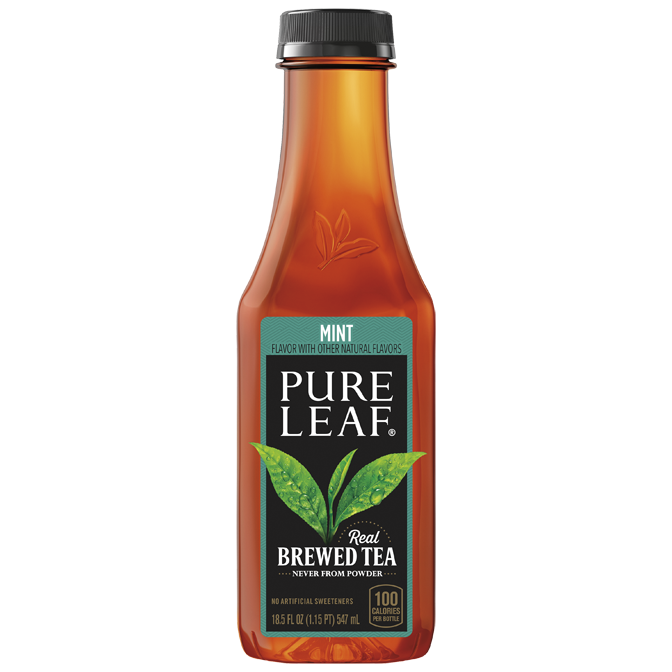 A delicious taste of authentically brewed tea using real tea leaves with the cool taste of mint. Do you like to indulge in the sweeter things in life? Then our Extra Sweet Tea is for you. Brewed using fresh-picked tea leaves and sweetened with real sugar so every sip is as sweet as the last.